This is a significant, unique and fascinating history of the Menzies era – a time that laid the foundations for modern Australia. 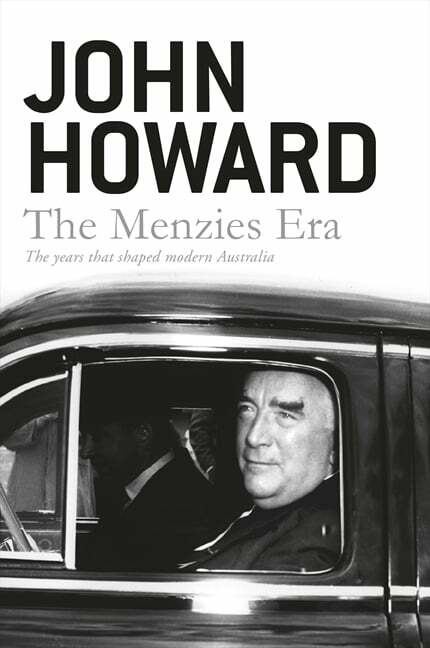 Fresh from the success of his phenomenal bestselling memoir, Lazarus Rising, which has sold over 100,000 copies, John Howard now turns his attention to one of the most extraordinary periods in Australian history, the Menzies era, canvassing the longest unbroken period of government for one side of politics in Australia’s history. The monumental Sir Robert Menzies held power for a total of over 18 years, making him the longest-serving Australian Prime Minister. During his second term as Prime Minister, a term of over sixteen years – by far the longest unbroken tenure in that office – Menzies dominated Australian politics like no one else has ever done before or since, and these years laid the foundations for modern Australia. Through the Menzies era, there was huge economic growth, social change and considerable political turmoil. Covering the impact of the great Labor split of 1955 as well as the recovery of the Labor Party under Whitlam’s leadership in the late 1960s and the impact of the Vietnam War on Australian politics, this magisterial book offers a comprehensive assessment of the importance of the Menzies era in Australian life, history and politics. John Howard, only ten when Menzies rose to power, and in young adulthood when the Menzies era came to an end, saw Menzies as an inspiration and a role model. His unique insights and thoughtful analysis into Menzies the man, the politician, and his legacy make this a fascinating, highly significant book. John Winston Howard, OM, AC, was the 25th Prime Minister of Australia, from 11 March 1996 to 3 December 2007. He is the second-longest serving Australian Prime Minister, after Sir Robert Menzies.